St. Martin (referred to as Sankt Martin in German) is one of the loveliest villages on the “German Wine Road” in Rhineland-Pflaz. St. Martin has the distinction of being named after a saint. You may recall that St. Martin gave half of his cloak to a beggar who was only wearing rags during a harsh winter. The area around St. Martin has been inhabited at least since Roman times. Nested in the hills and surrounded by vineyards, this may sound like the ideal paradise to visit for its beauty, wine, food, shopping and more. Kropsburg Castle was built in the 13th century and now is now a restaurant and tavern. It first served as a residence of the Bishops of Speyer and then later passed into the hands of the Lords of Dalberg. The castle was destroyed in 1689. However, the outer bailey was rebuilt, which now houses the restaurant Castle Tavern at Kropsburg. You will find this castle restaurant in the countryside above the village of St Martin. There are several options available for wine tasting. The Winery, the old chateau located at Maikammerer Road 7, is close to the Weingut Rössler – Schneider, which is on the same road at number 12. 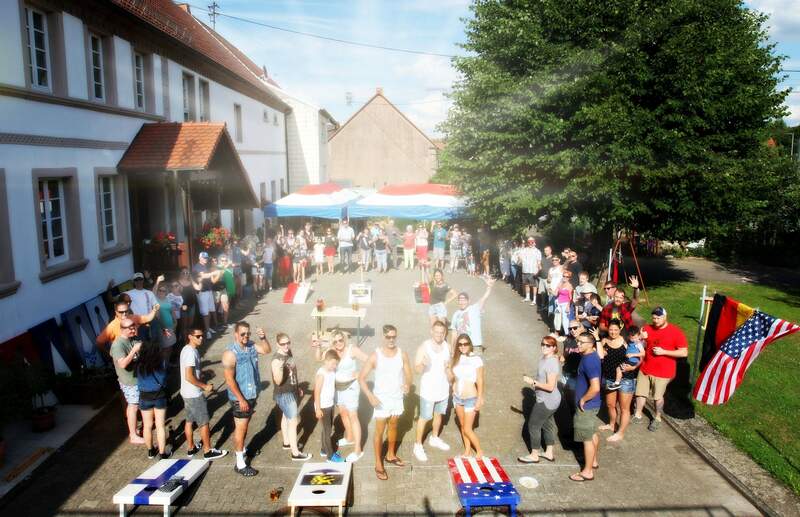 Wine sampling can also be find at the Wine & Sekthof Cutter (located at number 48) and the Winery Gernert (located at number 39). There are many other wineries in St. Martin too and you don’t have to look very hard to find one. 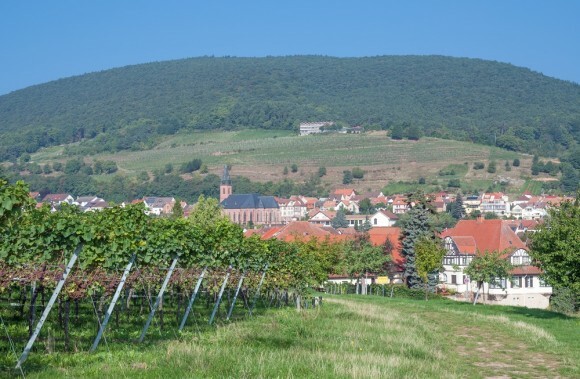 Tobias Arhelger / shutterstock.comThe Weingut Joachim Raabe is not only a place to purchase and taste wine, but you can also find delectable seasonal and regional specialty dishes. The traditional family-ran restaurant and vineyard is reasonably priced. 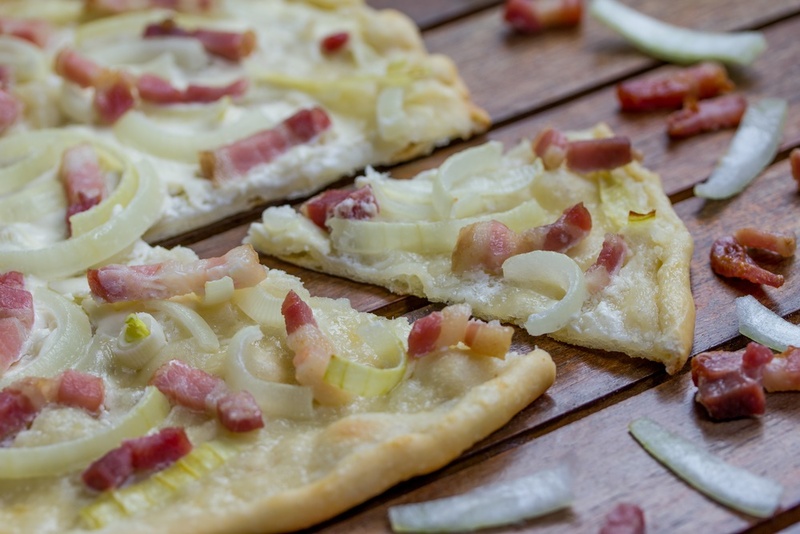 Try the Flammkuchen, which is a type of pizza with a thin cracker-like crust. It is generously covered in crème fraiche , topped with the traditional onions and lardons (matchstick-sized pieces of belly pork) or bacon, and sometimes comes with another seasonal vegetable such as broccoli. Saint Martiner Castell is a hotel and restaurant and offers light German cuisines and an international menu. This restaurant is reasonably priced and the traditional dishes are prepared with fresh local produce. There are other places to eat in the village of St. Martin, and perhaps in your wanderings you will come across a little gem of a place to eat. 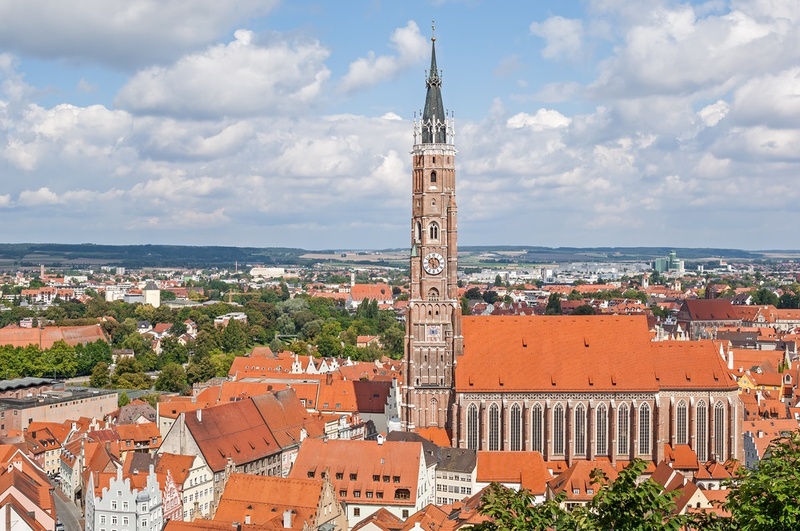 St. Martin is just under one hour southeast of Kaiserslautern, approximately 1 hour and 20 minutes south of Wiesbaden and 1 hour and 30 minutes northwest of Stuttgart. Go to DB Bahn for train information.